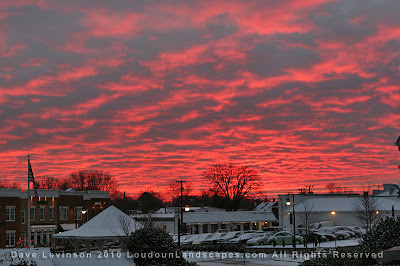 The skies over Purcellville were "on fire" early Friday morning. After a week of frigid temperatures and stinging wind, a few inches of snow fell on Thursday. With the snow came an absence of the driving wind, making twenty degree temperatures seem quite balmy, sort of. Visual warmth on this stunning morning momentarily put aside a week of frigidity. 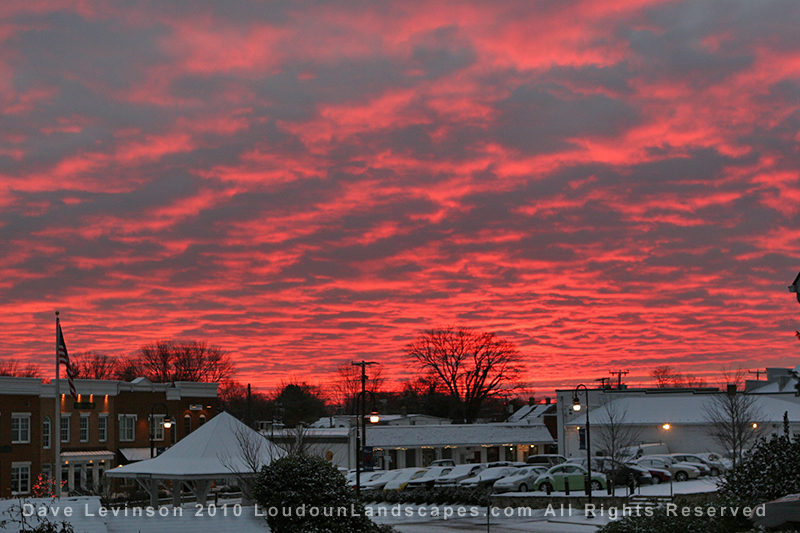 While lasting only a few moments, these fiery skies warmed our eyes and hearts.